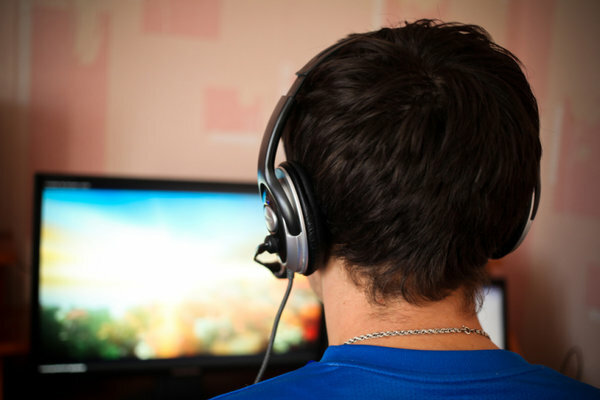 How to Guarantee Safety while Gaming Online? Home Web How to Guarantee Safety while Gaming Online? Online gambling is a massive industry, and it continues to expand, from a global market of $20bn in 2009, to almost $50bn in 2017 and a projected $60bn by 2020. With numbers like that, you might expect major players in the industry to be over the moon. And that’s usually true. But the best companies also know that there’s a darker side to online gambling. Anyone who has ever played online slots will agree that it can be an addictive activity. And gambling addiction is a real problem in society. In the UK alone, experts believe that gambling addictions cost around £1.2bn every year. Often that money is spent by people who need it for other things, like housing, childcare and – in some cases, food. Good firms try to offer the most enjoyable experience possible while remaining socially responsible, by keeping gamers safe and preventing access by under-age users. But it’s still important to know how to stay safe when you gamble online. So here are some ideas for players to remember as they enjoy what online casinos have to offer. Most importantly, gamers should always be very aware of who they are gambling with. In some ways the web is like the Wild West, with all kinds of providers and inadequate regulation. This leaves customers at the mercy of unscrupulous businesses (or criminals) who exist only to extract money from their members, and minimise the amount they pay out. Some things should jump out at you when you start gambling on sites like this. For one thing, their marketing is often too good to be true, with discounts and bonuses that mainstream companies can’t match. The reason for this is usually simple: those savings are completely mythical and disappear when you actually sign up. Illegitimate sites will often move the goalposts, changing the terms of bonuses as you play to avoid paying them in full. They might pay out slowly and provide unhelpful customer service when you ask them to speed up the payment process. And they try to find ways to avoid paying out at all, citing minor violations of terms and conditions. If you encounter any of these things, get out of the site straight away. One of the problems that novice gamblers experience when first starting out is the sheer variety of online companies. On the surface, these sites might seem very similar, with their eye-catching graphics, range of games and membership structures. But these surface similarities can mask the kind of poor practice we talked about earlier. Because of this, it always makes sense to research gambling sites before you join. Don’t get caught out with payment problems after depositing £200 onto the system of an illegitimate provider. Sites like Trustpilot or Legitgamblingsites.com provide an accurate picture of the leading sites. If the site you’re thinking about joining isn’t listed, it’s a fair chance they aren’t what they seem. Along with customer reviews, it also helps to find out more about how the various sites are run. One of the most common indicators that a gambling site is unsafe is when the company provides hardly any information about who owns and operates it, their mission and values, and where they are based. On the other hand, high-quality sites are up front about everything. They don’t have anything to be ashamed of, so why hide it? You can also find out about how seriously gambling sites take their customers. For instance, if sites have been approved by a wide range of payment processors (such as Visa, MasterCard, PayPal, Skrill etc…) this suggests that their payment processes are in good shape. Safe sites such as Videoslots also provide plenty of information about responsible gaming. They will have links to organisations that support gambling addicts, and have strong policies in place to restrict access for under-aged players. And they should also have robust self-exclusion policies in place, helping players to enjoy a few spins every now and then, without risking huge amounts of money. The take away is that online gambling is safe and enjoyable, if you use the right providers. When you do, these providers will let you enjoy your favourite games in a way that minimises risk and avoids the dangers associated with illegitimate operators. That way, you can gamble in safe spaces which look out for your interests, instead of taking you to the cleaners.